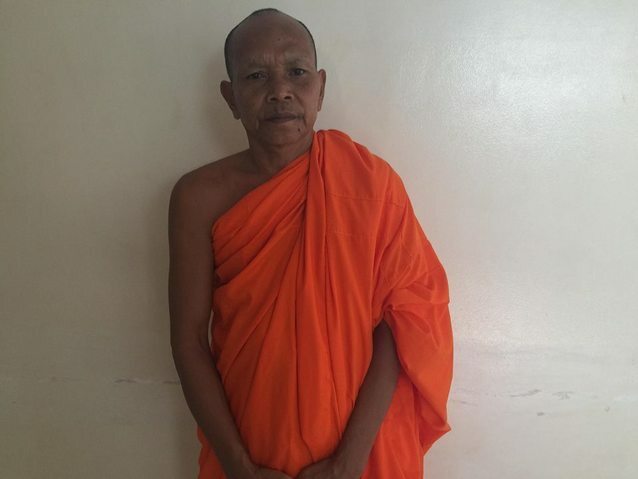 Yi is a man from Cambodia who needs $423 to fund ear surgery. Yi is a 50-year-old monk from Cambodia. He has five children. In his free time he likes to clean the pagoda. Three years ago, Yi had an ear infection. This infection caused the tympanic membrane, or the ear drum, in his Left ear to perforate. For this reason, Yi experiences ear drainage, tinnitus, itchiness, and hearing loss. He has a difficult time hearing others and has daily pain, drainage, and itchiness that disrupts his work. Yi traveled to our medical partner’s care center to receive treatment. On February 1, he will undergo a myringoplasty procedure in his left ear. During this procedure, surgeons will close the perforation. Our medical partner, Children’s Surgical Centre, is requesting $423 to fund this procedure. This covers medications, supplies, and inpatient care. Yi's case was submitted by Lindsay Bownik at Children's Surgical Centre in Cambodia. Yi received treatment at Kien Khleang National Rehabilitation Centre. Medical partners often provide care to patients accepted by Watsi before those patients are fully funded, operating under the guarantee that the cost of care will be paid for by donors. Yi was submitted by Lindsay Bownik, Stakeholder Relations Officer at Children's Surgical Centre, our medical partner in Cambodia. Yi's profile was published to start raising funds. Awaiting Yi's treatment update from Children's Surgical Centre. Yi is currently raising funds for his treatment. A myringoplasty is the closure of the perforation of the tympanic membrane in the ear. This surgery is performed when a patient has a perforated eardrum, certain types of hearing loss, and chronic otitis media (middle ear infection). A bilateral myringoplasty will be performed when a patient has otitis media on both sides. Patients experience difficulty hearing and communicating, in addition to chronic infection and daily ear discharge. The patient has difficulty hearing and experiences daily pain and ear discharge. These symptoms make it difficult to attend school or work regularly. Many people in Cambodia are unaware that medical help is available for ear, nose, and throat (ENT) conditions. In rural villages, if a young child has trouble hearing, it may be assumed that he or she is deaf. For this reason, that child may not attend school. A myringoplasty is the closure of the perforation of the tympanic membrane. The temporalis fascia is grafted. An incision is made along the edge of the perforation, and a ring of epithelium is removed. A strip of mucosal layer is removed from the inner side of the perforation. The middle ear is packed with gelfoam soaked with an antibiotic. The edges of the graft should extend under the margins of the perforation, and a small part should extend over the posterior canal wall. The tympanomeatal flap is then replaced. This surgery will repair the perforated tympanic membrane, treat the infection, and stop the ear discharge. This operation has a high success rate of hearing improvement. This surgery is highly effective with few risks. 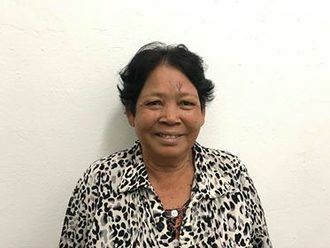 Treatment for chronic ear infections is not widely available in Cambodia. There are only a handful of doctors in the country that will perform a myringoplasty, but their services are expensive. Children's Surgical Centre is the only affordable treatment option for patients coming in with chronic otitis media on one or both sides. The alternative to surgery is antibiotic ear drops, but they have a far lower success rate. Many people neglect their pain and discharge for years, until total loss of hearing becomes a reality. Kansiime is a farmer from Uganda. She is married and a mother of five children. In 2016, Kansiime developed a swelling on her left shoulder. The swelling has been gradually increasing in size. Kansiime traveled to our medical partner's care center to receive treatment. On March 13, surgeons will remove the mass. Now, Kansiime needs help to raise $196 to fund this procedure. She says, "After surgery I will resume with my work." 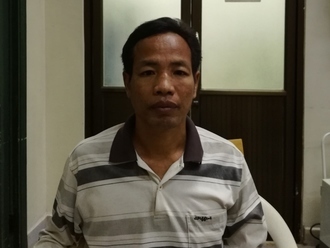 Tol is a 48-year-old rice farmer from Cambodia. He enjoys watching television, listening to the radio, and helping his wife with the housework. Four months ago, Tol was in a severe motorcycle accident that caused a fracture is his left leg. He is unable to walk or work and suffers from consistent pain in his leg. Fortunately, surgeons at our medical partner, Children's Surgical Centre, can help. On March 5, Tol will undergo a fracture repair procedure, which will cost $430. The surgery will allow Tol to walk normally again and no longer have any pain. He says, "I hope that after my surgery is complete, I will be able to go back to work and walk normally again."